It's my Cybergolf anniversary! For 10 years I have been writing a women's golf section for Cybergolf.com. 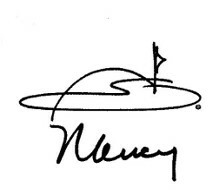 "Be Happy, Be Healthy, Live Longer, Play Golf"™ is my message to women. But this article is especially timely because the 2015 U.S. Women's Open begins in just over a week and celebrates the 70th anniversary of the U.S. Women's Open. Yes, Wonder Woman is holding a golf ball! My articles in Cybergolf's Women's Golf section are an index of what has been happening to, for and by women golfers over the past 10 years. The good news is that according to the most current industry data, the number of women and junior girls playing golf is increasing. With over 2 million visitors monthly on Cybergolf.com, I'd like to take some credit for the growth in female golfers in the U.S. Realistically, however, it's the LPGA, USGA and the First Tee that get most of the credit for their focus and efforts towards bringing more female golfers of all ages to the game. But the growth rate of female golfers is not increasing fast enough! Because female golfers in the U.S. represent only about 20% of all golfers, it's easy for a golf facility to view the female market as just not worth the effort. And the situation is compounded by the fact that 99% of the golf professionals and instructors as well as managers of golf facilities are male. You have heard the saying, "If you want something done, ask a woman." To really increase the number of women and girls playing golf, we need more women to take more responsibility for bringing more females to the game of golf. We need "Wonder Women Golfers" who can achieve what many may think is impossible. This is very much in keeping with the leadership message delivered to female corporate executives at the KPMG Women's Summit at the KPMG PGA Women's Championship a few weeks ago at Westchester Country Club outside New York City. FIRST: Women must be on the major committees and governing board of all golf facilities. If women are not fairly represented, ask several highly respected women golfers to meet with your senior management. Insist that women be represented. Make it happen. SECOND: Read and distribute a copy of the brand new PGA of America study "Setting Up Golf Courses for Success" that explains the ideal length of golf courses for women. See https://www.pga.org/sites/default/files/assets/library/Player_Development/setting-up-course_0.pdf. The PGA study was sponsored by Arthur D. Little who, based on research, has been promoting realistic tee lengths for women for many years. Little was able to influence the famous Bandon Dunes golf facility in Oregon to add forward tees on several courses! Let's hope the new PGA "Setting up Courses for Success" can do the same for the thousands of other courses that need a strong tap on their shoulder. If your club doesn't get the message, see the five assessment questions on Page 3 of the PGA Study, and present them with the facts. THIRD: Publicize the new website www.golfforher.com - which is positioned to be the ultimate resource for women golfers of all skill levels from recreational to competitive. The new website was created by a special committee of the World Golf Foundation, of which I was fortunate to be a part. Designate someone at your facility to check the site regularly and either "forward" articles to members or print them out (yes, the old fashioned way) for posting on bulletin boards. Also available on golfforher.com is an invite for a weekly email newsletter that captures several best articles from that week. Encourage your golf professional and every female member of your club to sign up for the newsletter by just clicking the "Newsletter" tab on the top of the website's first page and enter an email address. The golfforher.com newsletter once received is easy to forward or Tweet or add to your Facebook. FOURTH: Moving from the comic Wonder Woman to the real Wonder Women Golfers that will soon compete in the U.S. Women's Open in Lancaster, Pa., in south-central Pennsylvania. 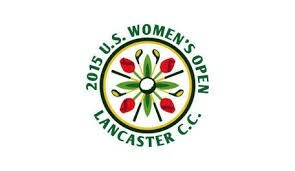 The U.S. Women's Open begins Thursday July 9 and ends on Sunday July 12. The U.S. Women's Open is sponsored by the United States Golf Association - the USGA. It is oldest women's golf competition in the U.S. and was established (and won) by Patty Berg in 1946 at Spokane Country Club in Washington. Women golfers at every golf facility - including practice ranges - should make sure there are posters in locker rooms, newsletters and email blasts that inform golfers about the tournament and its television schedule. The USGA has prepared a good fact sheet available at http://www.usga.org/championships/us-womens-open/u-s--women-s-open-championship-facts.html. Print it, Tweet it and put the link on your Facebook page. The U.S. Women's Open is unique among tournaments because it is "open" to both professional and amateur golfers. See the USGA's excellent website http://www.usga.org/championships/us-womens-open.html. It is also a "major" tournament on the LPGA Tour. Female professional golfers from the LPGA Tour and other international tours qualify for the Open based on points earned in previous professional tournaments. To highlight the U.S. Women's Open, ask your club's golf professional to plan a fantasy "Play with a U.S. Women's Open Partner" tournament (for both women and men) on Sunday's final round. Of course, members get to use their own handicaps! As your partner, you might select last year's U.S. Women's Open winner, Michelle Wie, or Stacy Lewis (sure to be playing on Sunday) or Inbee Park who won the KPMG PGA Championship a few weeks ago setting herself up for another historic major victory at this coming Open. If you - a female golfer at whatever age - want the golf industry and your local course to really welcome you, implement the four suggestions outlined above. Positive change will only happen if women golfers themselves assume and demand a voice and leadership roles. 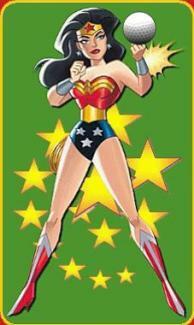 Think and act like a Wonder Woman Golfer and you will increase the number of women and girls playing golf. * This article appeared initially on www.cybergolf.com/womensgolf.